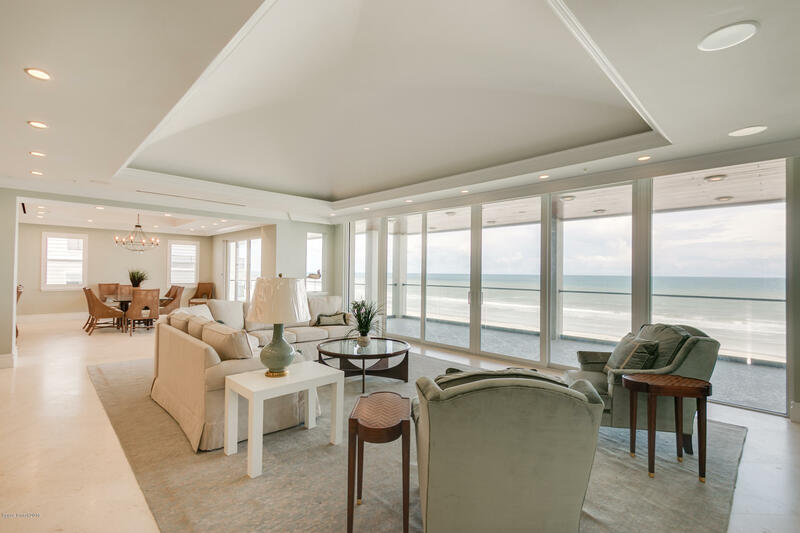 NE Corner Contemporary Beachfront Residence. 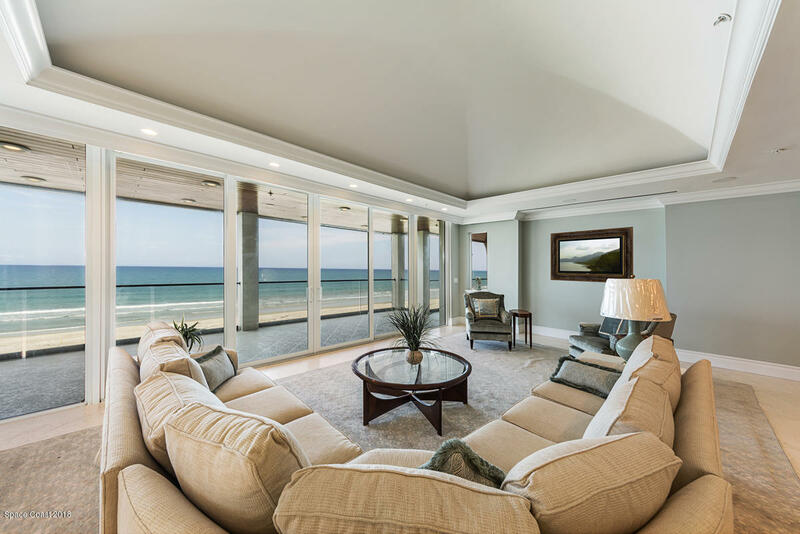 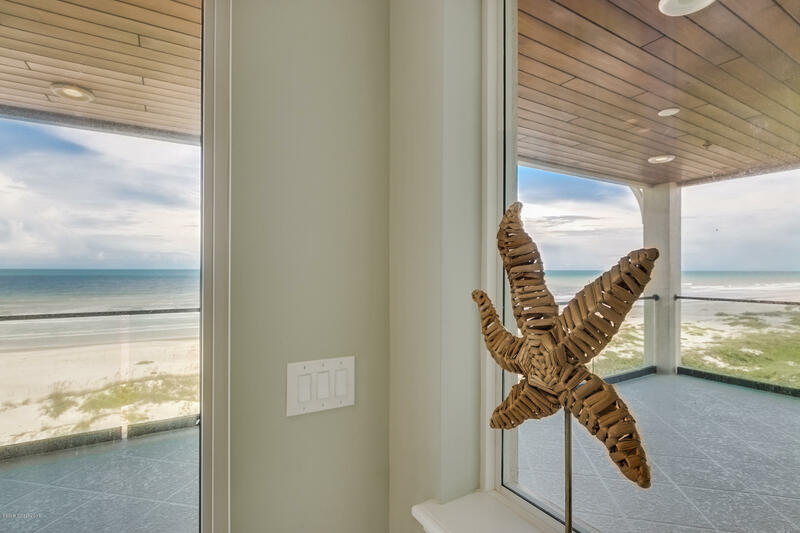 NEW luxury oceanfront community features 16 exclusive residence. 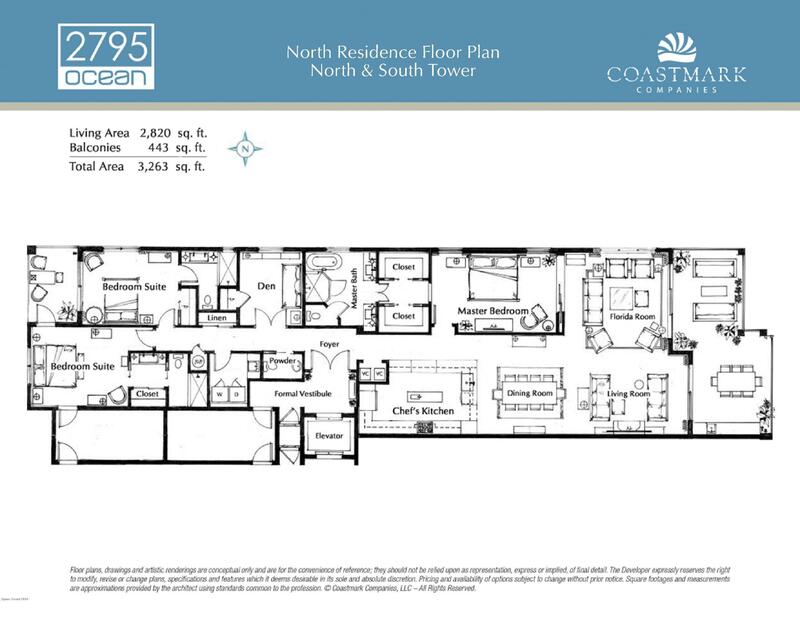 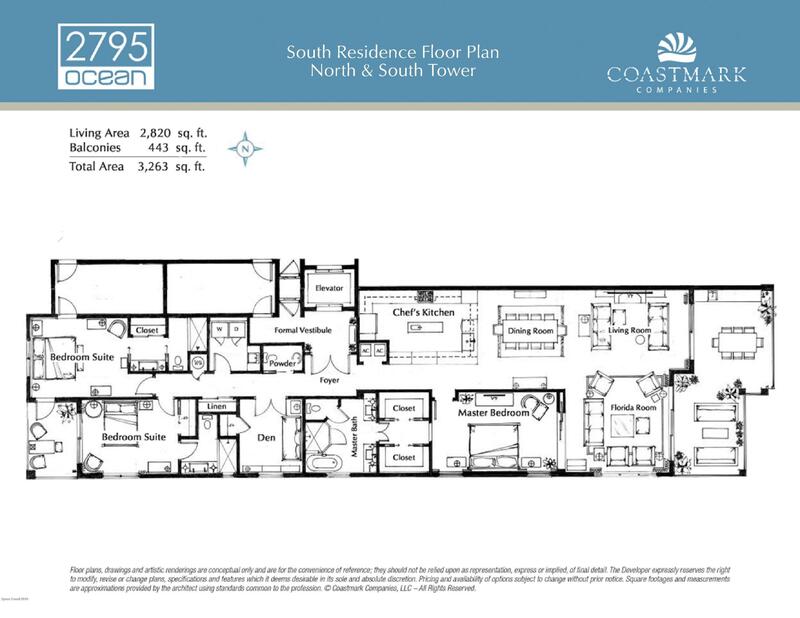 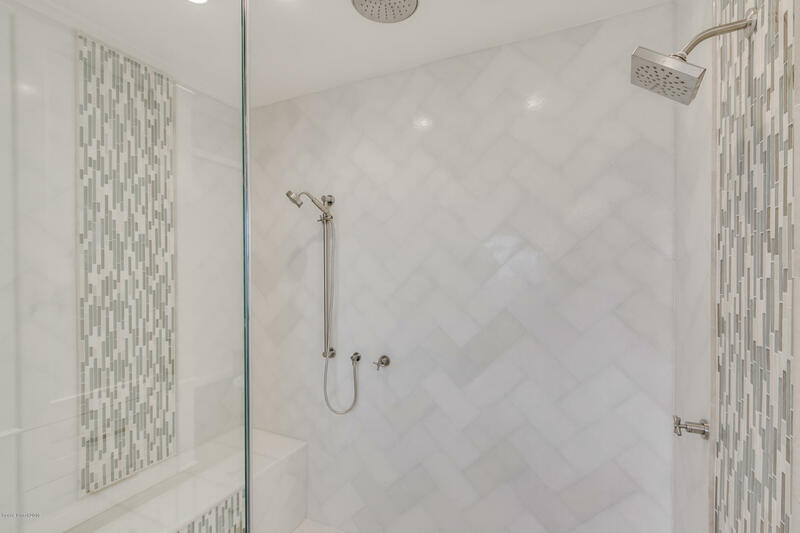 South Tower Residences feature 3 Bedroom Suites w/ En-Suite Baths plus a Den/Study. 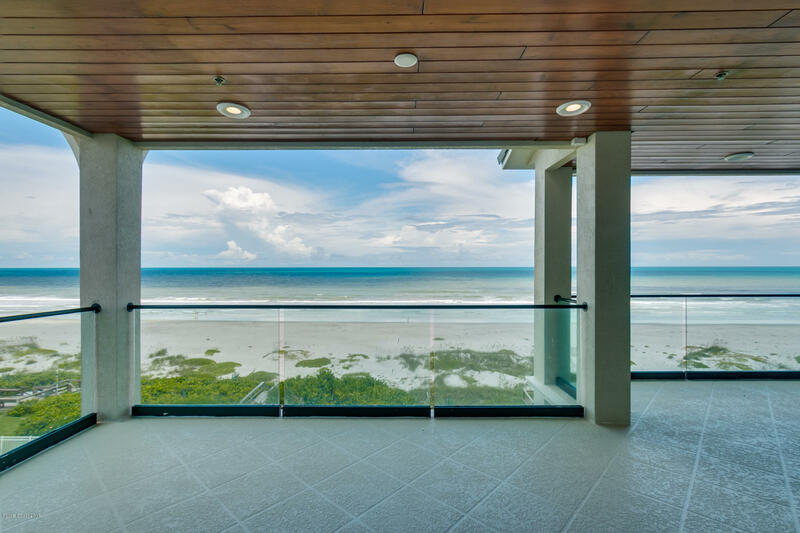 This spacious 3BR 3.5 BA + Den residence captures breathtaking direct ocean views. 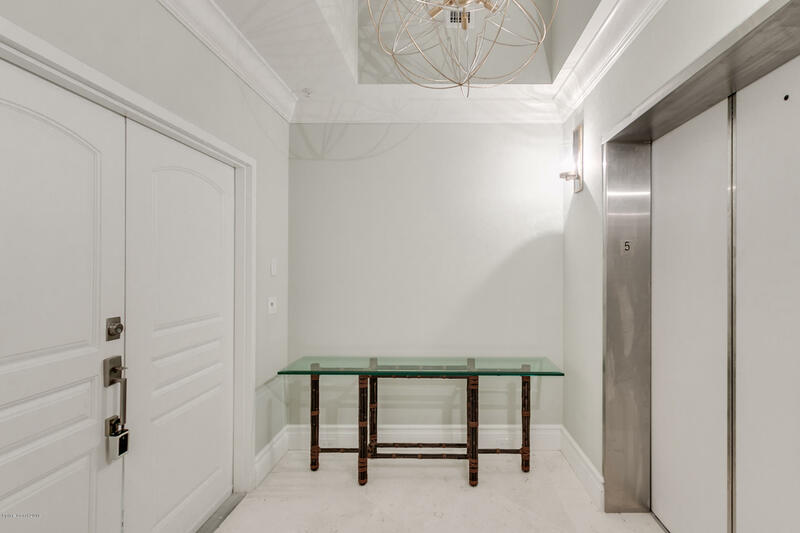 Private elevator entry opens directly to your own vestibule. 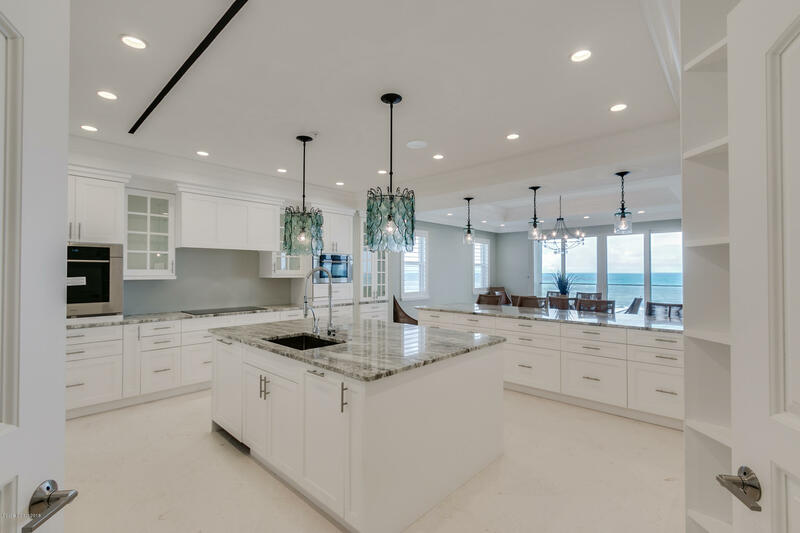 Chef's kitchen complete w/ island, quartz counter tops, custom cabinetry, soft close features & high end stainless appliances add the finishing touch of class to this oceanfront residence. 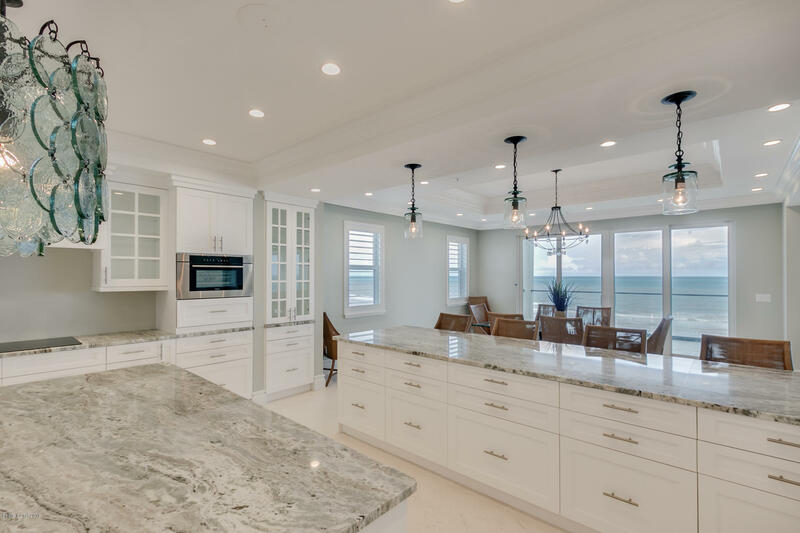 Entertaining is easy with your wet bar complete with beverage cooler. 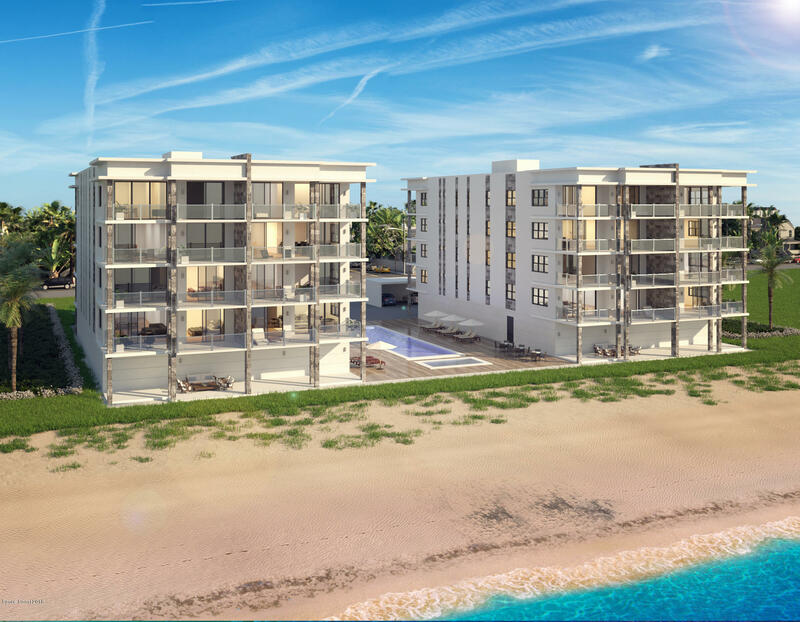 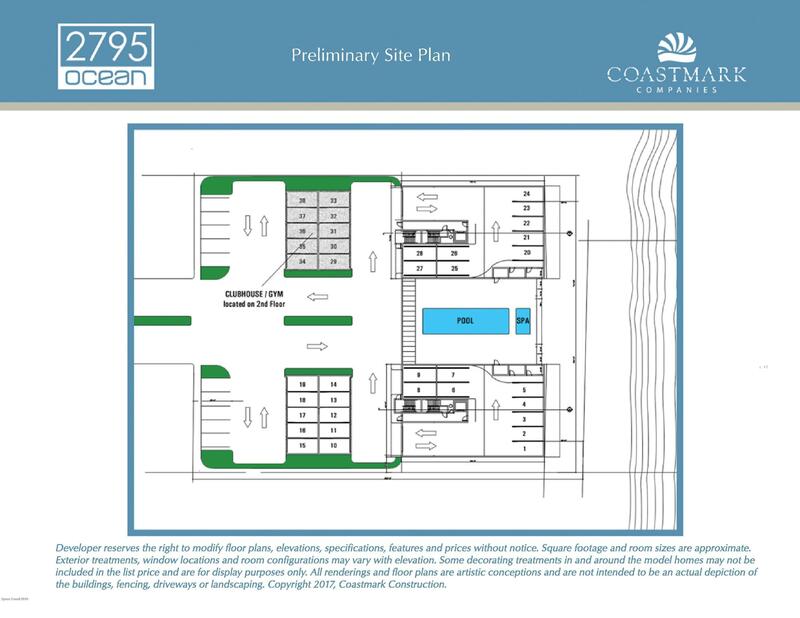 PLUS, floor to ceiling impact sliders, impact windows, oceanfront zero edge pool w/ spa, exercise room w/ sauna, key-less secured community, & 2 car parking. 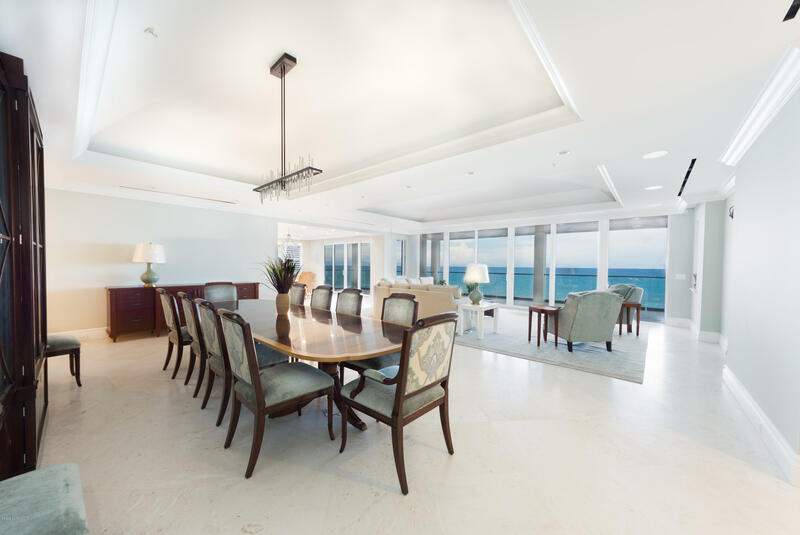 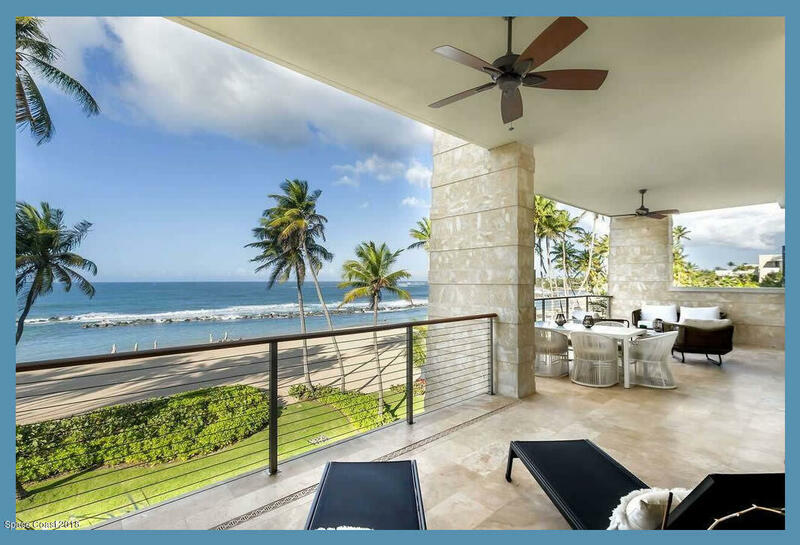 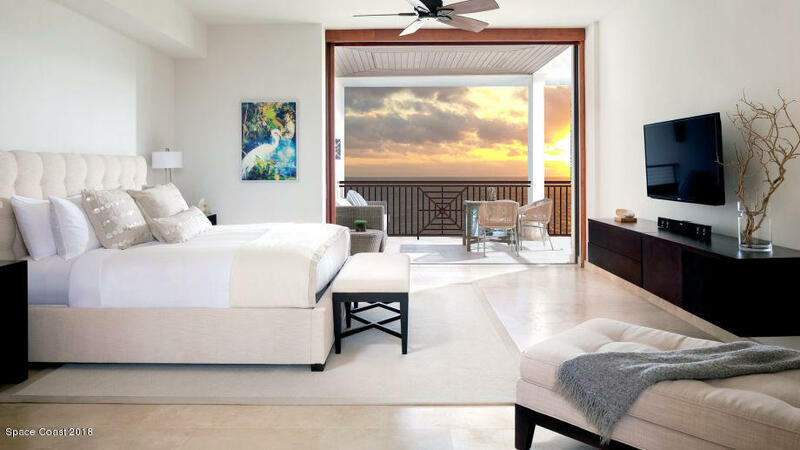 Experience Modern Luxury Oceanfront Living!